Many professional organizations from the Association of American Colleges & Universities (AAC&U) to the National Association of Student Personnel Administrators (NASPA) recognize the need and benefits of connection academic and student affairs to enhance student learning and success. Northwestern Connecticut Community College (NCCC) is the smallest community college in the State of Connecticut. We serve the students in rural Litchfield County as the only post-secondary institution in the region. Due to our small size, we inherently all wear many hats. This provides opportunities for more collaboration. However, geographically our buildings are spaced apart and that causes silos between departments. This geographic separation has resulted in challenges of bringing together academic and student affairs departments. At NCCC, we are utilizing the guided pathways initiative as our strategy to bring together academic and student affairs. 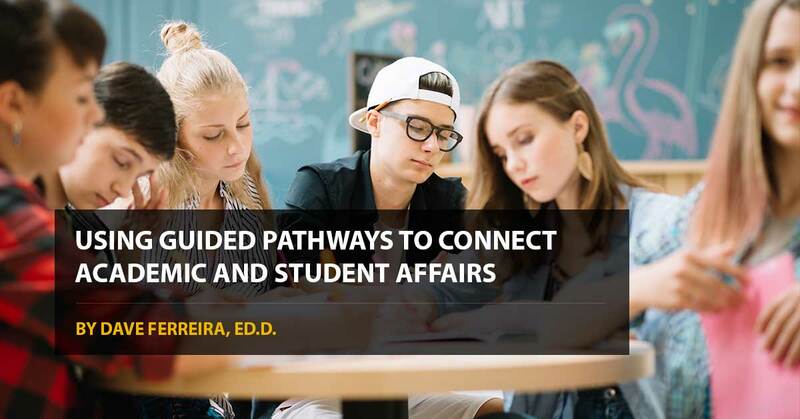 Guided pathways is an integrated, institution-wide approach to help students choose a program and develop an academic plan early on, have a clear road map of the courses they need to take to complete a credential, receive guidance and support to help them stay on plan, and ensure that students are learning (Johnstone & Karandeff, 2017). At NCCC, we first started the guided pathways approach by forming a task force to conduct an environmental scan and work collaboratively to scale guided pathways. The Guided Pathways Task Force (GPTF) consists of academic and student affairs personnel with a clear charge of implementing guided pathways. In 2017, the GPTF started collecting information on the environmental scan in order to conduct an initial scale of adoption assessment. This initial scale of adoption assessment, completed March 2018 in collaboration with the Connecticut State Colleges & Universities (CSCU) Student Success Center, allowed NCCC to honestly evaluate where we are starting with areas in need of the most attention. Since this was an initial scale of adoption assessment, it was okay that many areas where not systematic. By also completing the scale of adoption with the CSCU Student Success Center, it allowed NCCC to learn what initiatives they may implement that would help us scale guided pathways. This resulted in avoiding duplication of initiatives. For example, a state-wide group is working on a First-Year Experience course and so NCCC did not need to develop its own course. The GPTF identified the need to better cohort students by pathway, built partnerships with feeder schools, and collaborative scheduling as goals for the next year. With building student cohorts by pathway, NCCC has been piloting an initiative where an academic advisor is assigned to the allied health pathway. This advisor reports to the Academic Division Director of Allied Health with a dotted line to the Director of Advisement. This allowed the advisor, who had been a member of student affairs, to be fully integrated to the academic department. The advisor is the first point of contact with new students that wish to pursue an allied health program such as nursing, medical assisting, or veterinary technology. After the first semester, the students are assigned a faculty advisor as the primary advisor but she stays on as the secondary advisor to assist during winter and summer breaks when faculty are off contract. We also used new student orientation to bring together academic and student affairs to better cohort students by pathway. The revamped new student orientation included a first half with traditional topics such as financial aid, college resources, etc. The second half broke the students up by pathway. The new students and parents met with the faculty and second year students to get to know each other and answer questions about being a NCCC student. The new format does require more planning and organizing but survey results were very positive. In building partnerships with feeder school, myself along with the Assistant Director for Admissions teamed up to work with principals and guidance counselors in our service region to expand dual enrollment opportunities to ensure students are ready for college upon high school graduation. We have given a course release to an English faculty member to form developmental education dual enrollment agreements. These agreements, once implemented, will reduce the number of student who need to take the placement exam and move directly into college-level English. This could not be possible without the collaboration of all parties. Scheduling was the last goal for the initial year. Instead of taking the approach of rolling the schedule over from the previous year, we developed a baseline schedule of classes that we know will fill. Then, student affairs provided feedback on course demands they have received to make suggestions for courses, dates, and times. Many of the suggestions were adopted and those that were allowed for a dialogue on constraints from the academic side on building a schedule such as human resource availability. The results have been positive with an increase in enrollment and an increase in classroom efficiency. I would recommend examining how you can utilize the national trend of guided pathways to not only enhance the student experience, but also to seek out opportunities to build new relationships with academic and student affairs. While at NCCC we still have a way to go, we will continue to use the scale of adoption assessment tool and conquer the next set of priorities. Dr. Dave Ferreira has been in higher education for over 13 years. He is currently the Dean of Academic & Student Affairs at Northwestern Connecticut Community College (NCCC) in Winsted, CT. In this role, he is the Chief Academic Officer in addition to developing strategic initiatives to align student services with academic needs. Prior to his role at NCCC, he held administrative positions at Horry Georgetown Technical College in South Carolina, Broward College in South Florida, and Three Rivers Community College in Eastern Connecticut. 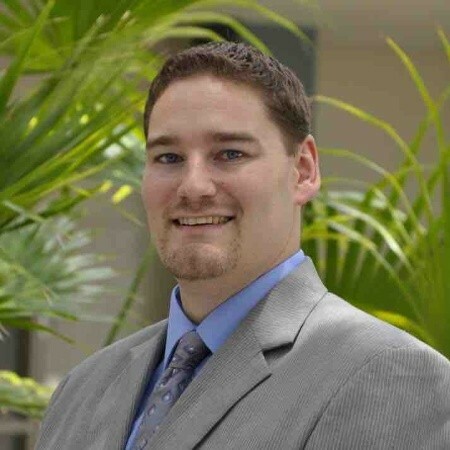 For over 11 years, Dave has also taught Political Science and College Success Skills courses as an adjunct instructor for a number of community colleges and universities in face-to-face, hybrid, and online formats. He holds a Doctorate in Higher Education Leadership from Northcentral University and his dissertation was titled “The Role of Background Characteristics on First-Year Seminar Effects“. He also holds a Master’s Degree in Political Science from American University and a Bachelor’s Degree in Political Science from Southern Connecticut State University.